Jo has over twenty years experience as a Realtor in the Denver Metro Area. A long time Colorado resident she has an extensive knowledge of the area. As a certified Buyers Representative and Certified Residential Specialist she can help with all of your buying and selling needs. She also holds the designation of Seniors Real Estate Specialist giving her some special expertise in working with seniors. Her Certified Distressed Property Expert designation has given her the expertise to help guide sellers through the maze of doing a successful short sale. Jo was the 2013 Chairman of the South Metro Denver Realtor Association and currently serves on the Board of Directors of REColorado, Colorado’s largest MLS. For an instant complementary home value, click here. Thinking of selling your home? Check out my do’s and don’ts checklist. Would you consider selling your home at a specific price? Click here and tell me your price. Interested in what the numbers look like in your neighborhood and city? Click here to find out more. We worked with Jo Pellegrino to sell our house that we had lived in for 14 years. Jo gave us excellent advice on getting the house ready to sell. We always felt she was looking out for our interests and are confident she worked for the best possible outcome. We are extremely satisfied with our results and timing of our sale. Her experience and sense of humor made the whole process less daunting and actually fun. We look forward to working with Jo in the future! Jo our House History goes back fourteen years and four houses. By the way my favorite number is FOUR. A house in Plum Creek, one in Castle Pines North, one in Highlands Ranch and one in Centennial. Our House History counting my Daughter and Son goes back 16 years. You efficiently helped my Daughter and family buy and sell their house in Castle Rock. And then helped them buy the house they are HAPPILY in now in Parker. 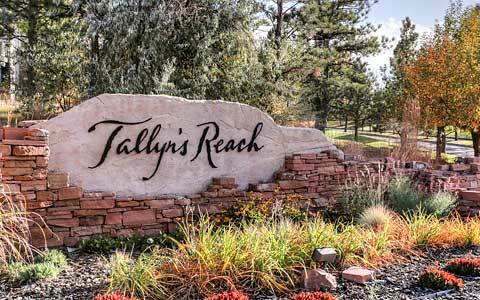 You were there and ready to help with my Son when he bought his house in Palomino Park and then helped again when he sold it to buy his beautiful new home in Highlands Ranch that he lives in now. We appreciate your attention to details and helpful marketing ideas. I have a hunch we’ll be adding to our House History. She was available to answer all of our questions, reviewed the model of our new home with us on many occasions, and even helped to select options for our new home. When things looked dim, Jo always had advice and encouraging words. She helped to stage our home for the best showing experiences. Additionally, she utilized professional resources to sell our former home. Overall, we were pleased with her services and would recommend her to anyone looking to sell or buy a home. We have had the pleasure of working with Jo Pellegrino for the recent sale of our home in Aurora, CO. She was exceptional, not just because she sold our home for above the asking price, but also because she was able to get the home appraisal approved for the sale price of the home. Jo is professional, smart and has great attention to detail. Thank you, Jo! !